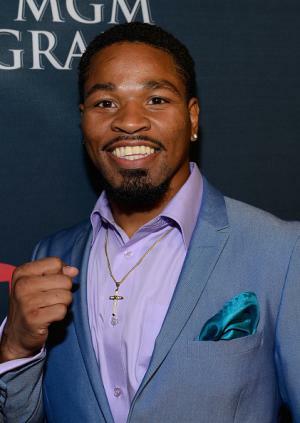 Born on the 27th of October 1987, Shawn Porter is an American boxer known and respected for defeating such champions as Julio Diaz, Devon Alexander and Adrien Broner. So how much is Porter’s net worth? As of early 2016, it is reported by sources to be $1 million gained mostly from his fights in his professional career since 2008. Growing up in Akron, Ohio, he has the body of a football player having played the sport in his school, Stow-Munroe Falls High School. However, his boxing career started at a very early age, and upon matriculation from high school, he passed up the opportunity to play college football to focus on his boxing career. One of his notable fights in his amateur career was in 2007, when he won the World Golden Gloves Championship. With that success, everyone thought that he would be able to qualify for the 2008 U.S. Olympics team, but Porter failed to qualify for the team, and turned professional instead. Under the management and training of his father Kenny, Porter made his debut fight in October 2008, defeating Norman Johnson. Within two years of turning pro, in 2010 he already had his first championship belt, defeating Russell Jordan for the Interim WBO NABO Light Middleweight championship. Within another year, he had also defeated Raul Pinzon, Hector Muzon, and Ray Robinson for his first fight in the Welterweight division, increasing his fame and net worth. To improve his skills, Porter also worked with champion Manny Pacquiao as his sparring partner in 2010 and 2011. With the additional training, he was able to defeat Alfonso Gomez for the WBO NABO Welterweight belt in 2012. In the same year he experienced his first draw, with boxing champ Julio Diaz, but was able to defeat him in 2013. Additionally in his many accolades, in 2013 he defeated Devon Alexander and became the IBF Welterweight Championship. With the new belt under his wing, Porter slowly rose to fame, helping in both his net worth and career. He defended the same belt against Paulie Malignaggi and won. However, he lost the belt later to Kell Brook. In 2015, Porter won his first fight in the Premier Boxing Championship, finishing Erick Bone by a knock-out after five rounds. Later in June, he faced Adrien Broner for PBC as well; held in the MGM Grand Garden Arena in Las Vegas, Porter had a hard time with Broner, with the fight lasting up to 12 rounds. Although he experienced a knock-down in the twelfth round, Porter still won via a unanimous decision. To date, Porter has an amateur record of 276-14 and a professional career of 26-1-1; 16 of those are knockouts. He was supposed to fight Keith Thurman last December of 2015, but the schedule has not been honoured. Reports say it was scheduled in March of 2016, but once again rescheduled in June. In terms of his personal life, the 28 year old is single, and is training and residing in Las Vegas, Nevada.